Warrendale (Detroit) Blog: Detroit Headed for Bankruptcy? 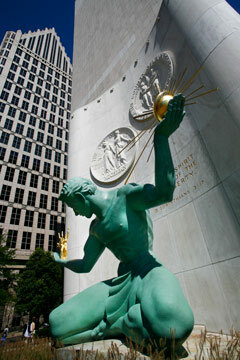 DetroitUncovered.com is reporting that the City of Detroit will likely enter receivership, if not outright bankruptcy, shortly after the general election this November. The site reports that the City has borrowed heavily against its expected 2011 tax revenue and is unlikely to be able to continue paying its bills. I have argued for quite sometime that there is no realistic chance for the City of Detroit, or the Detroit Public School system, to avoid bankruptcy. I believe its best for us to file for Chapter 9 bankruptcy protection on a preemptive basis and get it over with. The sooner we go into bankruptcy, the sooner we can emerge from it and move on. As a result, I hope that these reports prove to be true. There was a lot of business in US that are we don't know if they are still earning because some of them was filing in a bankruptcy case. They will need the best lawyer for this kind of case.